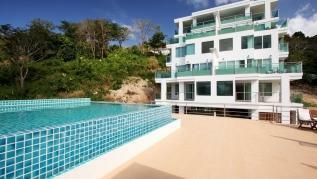 Baycliff Residence is a seaview 2 bedroom apartment with all you need for your holidays. 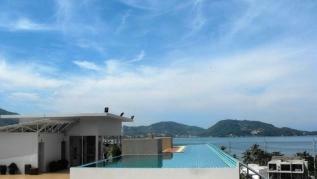 The balcony has a private jacuzzi with panoramic view over Patong bay. Living area has a big screen tv, dining area with chairs and table open to the fully equipped kitchen. One bedroom is ensuite, both have king size beds. 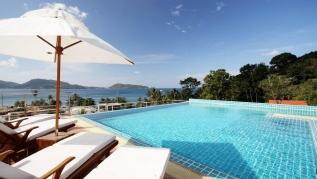 The rooftop swimming pool is shared and can be accessed with a key card provided. There are stairs to access it. Daily cleaning not included in the price, charged 1200 baht when required. If an extra cleaning is required, please book your cleaning 48 hours in advance. Late check in is available free of charge on request!